Over the last two decades the medical industry has made cholesterol the enemy of the cardiovascular system. To combat this enemy more and more doctors are prescribing statin drugs like Lipitor (atorvastatin), Zocor (simvastatin), Mevacor (lovastatin) and Pravachol (pravastatin) as the answer to good cardiovascular health. But is cholesterol the real enemy? And, if so do the side effects of statin drugs outweigh their benefits? Or, could there be a better way to protect the endothelial cells of your cardiovascular system from oxidative stress? I used an exclamation mark instead of a question mark because it can be both. Cholesterol is absolutely necessary for the proper function of your body. Every cell membrane needs cholesterol to help it function properly. One of the many roles of your cell membrane is to keep the biochemistry that’s inside of your cells separate from that outside your cells. When your cholesterol levels are not adequate, the cell membrane becomes porous. This triggers an emergency response and your body releases corticoid hormones. These hormones will pull cholesterol from one part of the body to the site in need to help repair the cell membrane. Your brain could not function properly without cholesterol since half the dry weight of the cerebral cortex is made up of cholesterol. Additionally, it’s vital to the neurological functions of the brain such as memory and the ability to properly use hormones like serotonin. Serotonin is your body’s “feel-good chemical” and when cholesterol levels are too low, then the serotonin receptors cannot work properly. It’s the precursor to vitamin D, which is absolutely necessary for many of your body’s biochemical processes including mineral absorption. It’s necessary for the formation of bile salts which are required for the proper digestion of fats. It’s a powerful antioxidant to help protect you against cancer and aging. Cholesterol is a natural product of the liver but sometimes the liver produces too much cholesterol. When this happens it can affect the endothelial cells of your cardiovascular system. It can damage the intercellular junctions between the endothelial cells allowing deposits to build up. This causes the smooth and flexible lining of your blood vessels to become rough and hard leading to the disease commonly called arteriosclerosis or atherosclerosis. As this process continues over time, the deposits or plaques become larger which narrows the interior of the blood vessel making it harder for blood to pass through. This increases resistance to blood flow, which can cause your blood pressure to increase. 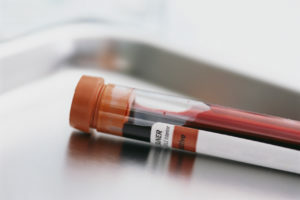 When your doctor takes a blood sample to check your cholesterol he or she is looking at three numbers: total cholesterol, LDL cholesterol and HDL cholesterol. It’s the LDL or low-density lipoprotein that is considered the “BAD” cholesterol because it can damage the endothelial cells resulting in plaque buildup. The HDL or high-density lipoprotein is considered the “GOOD” cholesterol because it seems to have a positive effect in protecting the endothelial cells from LDL damage. Statin drugs lower cholesterol by blocking a key enzyme that the liver uses for its production. The enzyme is HMG-CoA (3-hydroxy-3-methyglutaryl COA) reductase. This inhibits the liver’s ability to produce LDL or low-density lipoprotein. This frees up the number of LDL receptor sites in your liver, which helps remove more cholesterol from the bloodstream. Reduce oxidative stress on the body’s tissue. Stabilize plaque on the blood vessel walls. Remember the enzyme HMG-CoA reductase that is inhibited by the statin drugs. This enzyme is also critical in the formation of two other life enhancing compounds: ubiquinone and dilochol. Ubiquinone is better know as Co-Enzyme Q 10 or CoQ10. It plays a critical role in helping the mitochondria of your cells produce ATP which is necessary to energy production. Your heart requires high levels of CoQ10 to function properly. It’s also involved in respiration, helping to maintain membrane integrity critical to nerve conduction, and vital to elastin and collagen formation. The side effects of CoQ10 deficiency include muscle wasting which leads to muscle weakness and severe back pain, heart failure, neuropathy, and tendon and ligament inflammation. Dolichols play a huge role in helping to make sure the proteins manufactured by the cell’s DNA end up at their proper targets. This helps to ensure that the cells respond correctly to their genetic programming. When interfered with they can allow for some very unpredictable consequences at the cellular level. Even though the FDA has deemed statin drugs to be safe, there is no drug that is totally without side effects. For statin drugs, especially now that people have been taking them for longer than required in clinical testing, the side effects are more evident. They typically fall into two categories. Muscle Pain associated with Rhabdomyolysis. Muscle pain in the shoulders, jaw, legs and back are common. This muscle pain is a symptom of muscle breakdown caused by the statin drugs. When muscle breaks down, the body must eliminate the excess waste. This can overload the kidneys and can lead to a more serious problem. Rhabdomyolysis is the medical term for this muscular breakdown and the subsequent release of the contents of muscle fiber into the bloodstream. When this occurs the person’s urine is usually dark, red, or cola colored. If severe enough it can lead to acute kidney failure and death. Muscle Weakness associated with Neuropathy. Neuropathy is a malfunction of the peripheral nervous system which can affect muscle tone and function. Muscle weakness is frequently a symptom of this form of neuropathy. Other symptoms could include: numbness, tingling, burning sensations, and extreme sensitivity to touch. If left untreated, neuropathy can lead to muscle deterioration and possibly paralysis. This can directly effect swallowing and breathing. Finally, congestive heart failure has more than doubled from 1989 to today (statin drugs were introduced into the market place in 1987.) The current reasoning for this increase in congestive heart failure is the interference that statin drugs have on the production of CoQ10, which is critical to proper heart function. Researchers estimate that 1 – 5% of statin users will experience muscle pain and 10% will experience muscle weakness. It is estimated that 19 million Americans take statin drugs. If the above estimates are correct, then 190,000 to 950,000 thousand American are experiencing some level of muscle pain and 1.9 million are experiencing muscle weakness. In my next post I’ll present a counter argument to the use of statin drugs to lower cholesterol since current research shows that it’s not cholesterol that causes heart disease. Rather, there is another factor at play.